Students will not be taking the building sets home. The sets can be purchased from vendors. Calling all junior robotics engineers! You will work with programmable smarthub, motor, sensors and various Lego bricks to build and program models such as helicopter, truck, gorilla, frog, dolphin, caterpillar and more. This course offers hands-on activities that ignites students’ curiosity, while enhancing their skills in science, engineering, technology, and coding. 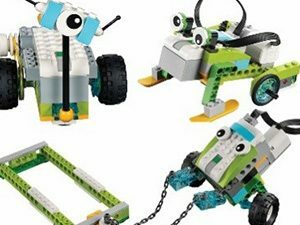 If you like WeDo Robots, you will love this course as we work on different projects from a different robot set.